Sometimes a baby bump gets in the way of things. In this case, for Hilary Duff, it got in the way of her work. She was supposed to start filming The Story of Bonnie and Clyde this fall, which is just around the corner. 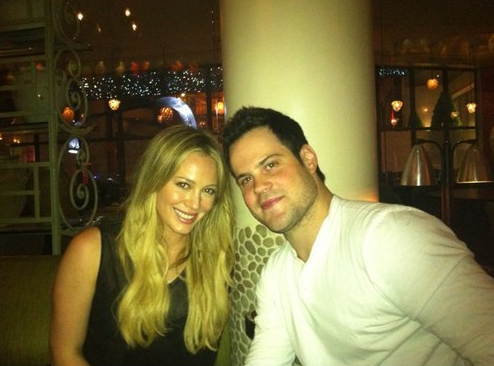 Anyhow, she just announced that she’s expecting her first baby with her hubby, Mike Comrie. The producers said they couldn’t wait for her pregnancy to start filming and dropped her. Of course Duff was okay with it. This is showbiz. Duff was of course cast as Bonnie Parker and Clyde was supposed to be played by Kevin Zegers…. but he’s now out as well, thanks to scheduling conflicts. So um, it looks like production is going anywhere until they get some stars on board. Since they are starting from scratch, who do you think should fill these roles now? Drop your suggestions in the box below!